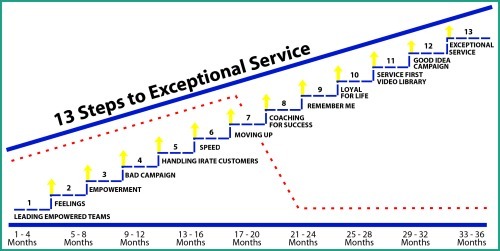 Have you found that your customers are more demanding than ever? And yet, service worldwide seems to be getting worse. Companies spend most of their dollars to attract new customers and virtually, nothing to keep them. High-value, maximum-impact customer retention demands that you help employees understand the value of keeping the customer and how they can contribute to the process. Next you must give them the skills to succeed. Our focus and core competence is changing attitudes and behaviors in order to build a service culture. This requires commitment, time and some money. Building world-class service and a service culture demands that you keep employees motivated and trained continually. Invest in your company’s one asset where you can get the greatest return on the dollar, your employees.